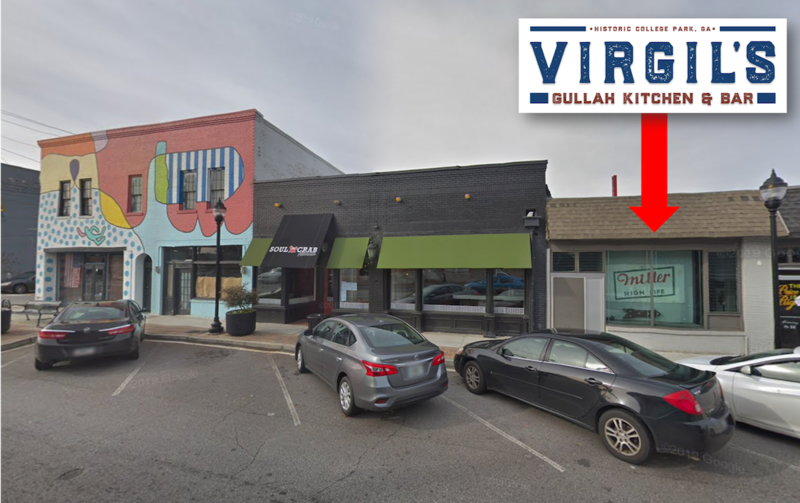 Virgil’s Gullah Kitchen and Bar is coming to College Park in late-Spring 2019, Project Q Monday first reported. The restaurant will serve "authentic Gullah Geechee dishes," at 3721 Main Street, in space adjacent the newly-opened Soul Crab. "The Gullah are African Americans who live in the Lowcountry region of the U.S. states of Georgia and South Carolina," according to Wikipedia. Husbands Gee and Juan Smalls, the co-founders of The Gentleman’s Foundation, are behind Virgil’s Gullah Kitchen and Bar. Construction on the 2,000-square-foot restaurant kicked off last month. Virgil’s Gullah Kitchen and Bar is named after the late father and father-in-law of the owners. It will serve his favorite dishes with recipes coming directly from James Island, SC, where many family members still reside. "We are most known for our delectable variety of rice dishes, a Low Country staple because of our ancestors who were brought over to America because of their intense rice-farming skills," according to the restaurant's Facebook page. string(33) "Virgil’s Gullah Kitchen and Bar"
string(39) "3721 Main Street College Park, GA 30337"